CLICK HERE FOR MORE STORIES BY ELIZABETH BONESTEEL. 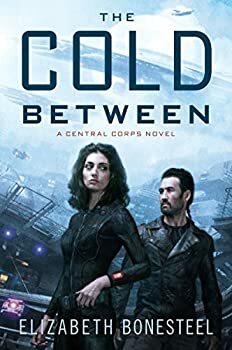 The Cold Between is the first novel in Elizabeth Bonesteel’s CENTRAL CORPS trilogy. 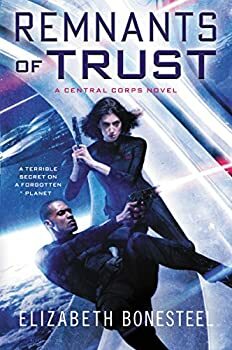 This military space opera focuses more on personal and romantic relationships than most in this genre do. I’m tempted to call it romantic military space opera. 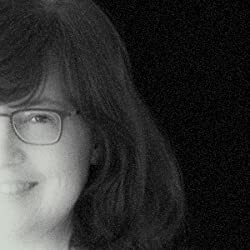 The publisher compares Elizabeth Bonesteel’s work to that of Elizabeth Moon and Lois McMaster Bujold. I have read both of those authors’ space operas and I can say that this comparison is inaccurate. Bonesteel is writing for the same audience, but doesn’t quite make it in this debut novel. 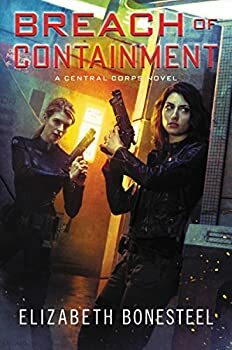 Remnants of Trust (2016) is the second novel in Elizabeth Bonesteel’s CENTRAL CORPS trilogy. If you haven’t yet read The Cold Between, you should read it first. This review may contain spoilers for that first novel.